According to Food Allergy Research and Education (FARE), about 40 percent of children with food allergies have experienced a severe allergic reaction such as anaphylaxis. An alarming statistic that Jeff and Kim Slone never wanted to experience with their daughter Anna. 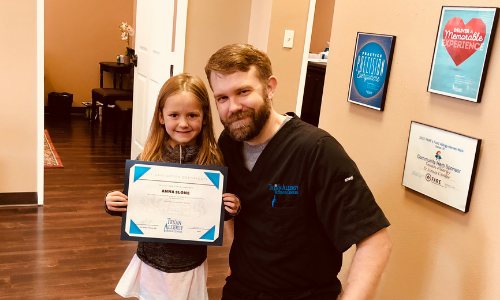 Her allergies to milk and peanuts were detected early on, so when she was four, she began oral immunotherapy or OIT at Texan Allergy. For eight months Anna was gradually introduced to small doses of peanuts. Eventually, her body began to tolerate the food that once caused a severe reaction. After graduating from the OIT program this past spring, Anna celebrated the huge accomplishment by going to Disney.